This pairing sounds nearly too good to be true: Actors Jo Seung-woo (Assassination, God’s Gift — 14 Days) and Bae Doo-na (Tunnel, Jupiter Ascending) have received offers to star in tvN’s new drama Secret Forest (working title). Details are scarce at this time, but the story of Secret Forest focuses on a prosecutor who lost his emotions and uncovers a secret that propels him to search for the real culprit within his own domain: the public prosecutor’s office. Written by Lee Soo-yeon, who directed the 2015 feature film Thawing, Secret Forest would be the first tvN venture for both Jo Seung-woo and Bae Doo-na and their first time as costars, should they confirm. Initially, there were reports that PD Kim Won-seok of Signal and Misaeng fame would helm the project, but an official statement from tvN refuted such news and mentioned that they are still in the midst of procuring a producer. Darn. 2016 has been quite an eventful year for multifaceted actor Jo Seung-woo, who was busy on the musical scene with roles in Sweeney Todd and Hedwig and the Angry Inch. Bae Doo-na, too, has been quite active: Her movie Tunnel was a box office hit this year, and she just wrapped filming on Season 2 of her Netflix series Sense8. It’s been three years since Jo Seung-woo’s last drama God’s Gift — 14 Days, which was a twist-filled, heart-stopping ride (until the anticlimactic end). And Bae Doo-na hasn’t been in a K-drama in six years, with 2010’s Gloria being her last. 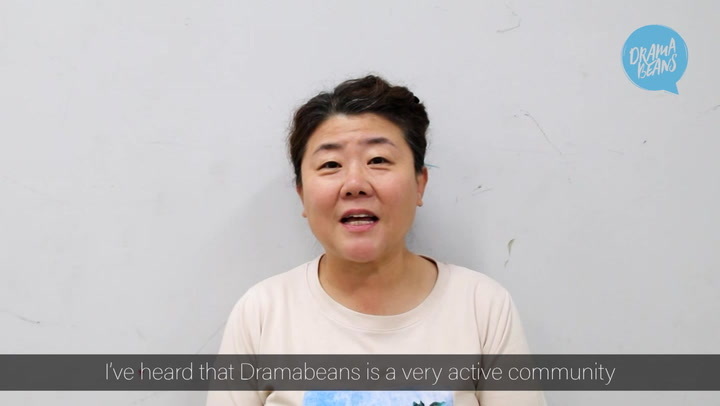 I’m sure dramaland and tvN would herald their return with wide open arms. Meanwhile, I’ll be at the nearest fountain, tossing pennies and wishing for this casting to come true. Secret Forest is expected to premiere on tvN sometime in the first half of 2017. I'm trying so damn hard not to get attached to this news right now. It really is too fantastic to be real. I'll be happy if just one of them signs on! Simply AMAZING! Santa came early this Christmas! This would be a dream come true if this came into fruition!!! I will be there right along with you throwing buckets of pennies in for this to happen! I love both of them and I would love to see two powerhouses in chungmuro team up for the small screen because Jeon Do Yeon and Yoo Ji Tae were sizzling in the Good Wife- both chungmuro actors! Captain Awesome AND the biggest badass out there?!?!?!?!?!? I am so scared to get my hopes up over this but I want it so bad! most definitely IN... please make it happen! My heart legit skipped a bit when i saw the headline!!! But the story tho, hmmmn, sounds like a mix of Beautiful Mind and Punch(from what we know so far). We'll see. It's really too good to be true..
tvN really make every Chungmuro fans happy because they keep casting those who almost exclusively working in movies. Oh my god! This is so good! And Sense8 in a few days!!!!!!! So excited to see him back on small screen. I love him since "The Classic". I would definitely watch this. I am marathoning Gods Gift 14 Days now, I don't know how this so good drama slipped under my radar till now, it's my first time watching this actor in anything. This drama is so addicting, and people were saying Wanted is similar, although i loved wanted but Wanted doesn't hold a candle for this drama, it erased Wanted from my memory, I wonder why this drama writer didn't write anything till now, i want another drama from this writer. SAY YES! SAY YES! SAY YES!!!!!!! Great. Looks like quite a number of thrillers are coming our way in kdramaland now. My cup of tea but maybe can add some romance line or else it might seem a little boring if the same serious plot drags on for too long. Lol. god's gift was my introduction to jo seung-woo (i had such an actor-crush on the guy for awhile!) and if he picked up another drama i'd be a super happy clam. movies just aren't the same as dramas. I feel like Bae Doona would want to review a complete script before taking the plunge. Seeing how quite a lot of kdramas tend to decrease in quality over their run, I know I would! Looks like after "Chicago Typewriter' ends, May 2017. Geez.. I need Jo Seungwoo to play new character to forgive God's Gift 14 Days' ending!!! It's been 3 years already, please say yesss! And don't die in the end! Wish that all things will be going right..
@shinmudejuve, im crossing my fingers for this drama to make it happened! i watched God's Gift as well as the works of PD from Signal and Misaeng.. hopefully they all will say a big YES!